My Hero Academia is full of heroes. Some of them are super strong. Some can shoot lasers out of their eyes. Some can fly and some can even read other people’s minds. Tsuyu Asui does frog stuff. Sure, it sounds a little weird and not very super heroic, but she’s done plenty of great things with her odd Quirk. Who needs flight when you can fight baddies with a whip-like tongue? Of course, she’s always quite clever and was the first one to unravel the dastardly plot of The League of Villains. If we were going to dress up as a character from My Hero Academia, we’d dress up like her! 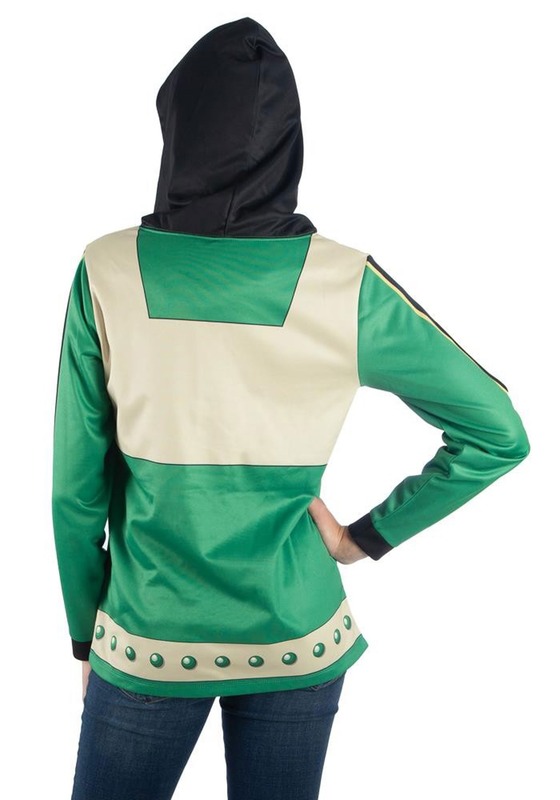 Well, the good news is that this Tsuyu Asui hoodie makes it quite easy to cosplay as the My Hero Academia character. The comfy hooded shirt is green with printed details to help recreate the look of Tsuyu’s superhero outfit. It has knit-ribbing around the cuffs and a black hood that resembles her hair. Just toss it on with your favorite pair of jeans to have an instant My Hero Academia costume. 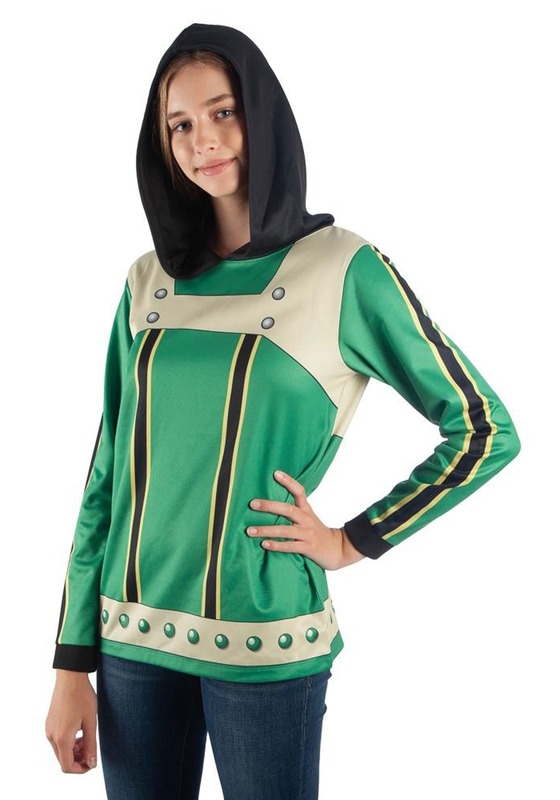 Of course, this hoodie might not give you a real Quirk, but it will have you feeling ready to take on any foe!